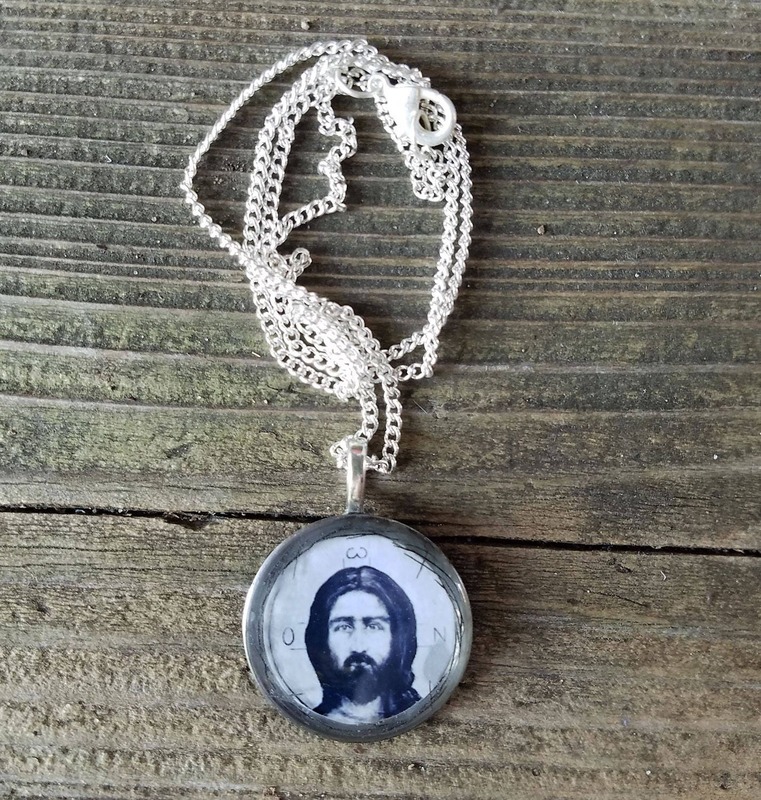 The pendant is an old watch part (watch casing) with Christ Pantocrator embedded in it, covered with a layer of resin. The artwork is a small reproduction of my original drawing. It comes on a silver chain, approx, 18" long.